The Managing Director of 6District Business Consulting, Mervyn Cookson, Pr Eng. has 15 years experience in Insurance based Financial Services, of which 5 have been exclusively focused on Sub Saharan Africa at a senior executive level, 5 years in Supply Chain Management, Procurement and Logistics in the Oil and Gas Industry in West Africa, 9 years in the Medical Insurance Industry in South Africa and in multiple African territories and 10 years in Diamond Mining Engineering with a focus on Electrical Power, Civil, Structural and Mechanical Engineering Project Management. 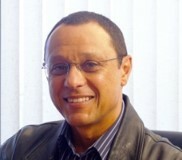 Mervyn holds a B.Sc Electrical Engineering with Honours from the University of Cape Town and an MBA from the University of Stellenbosch Business School. He is also a member of the Engineering Council of South Africa and the Institute of Directors of South Africa. Mervyn also sat on the boards of multiple insurance –based companies in Africa and was Chairman of 4 of those Boards.